Half hour riding lesson included the lesson is between 10am - 3pm. This is a supervised (with our staff) fun day, the children can get to know their favorite ponies. Learning how we look after our ponies which may include eg grooming, washing, picking out feet, leading, tacking up, approaching ponies in the stable, putting head collars on and off, tying up etc. 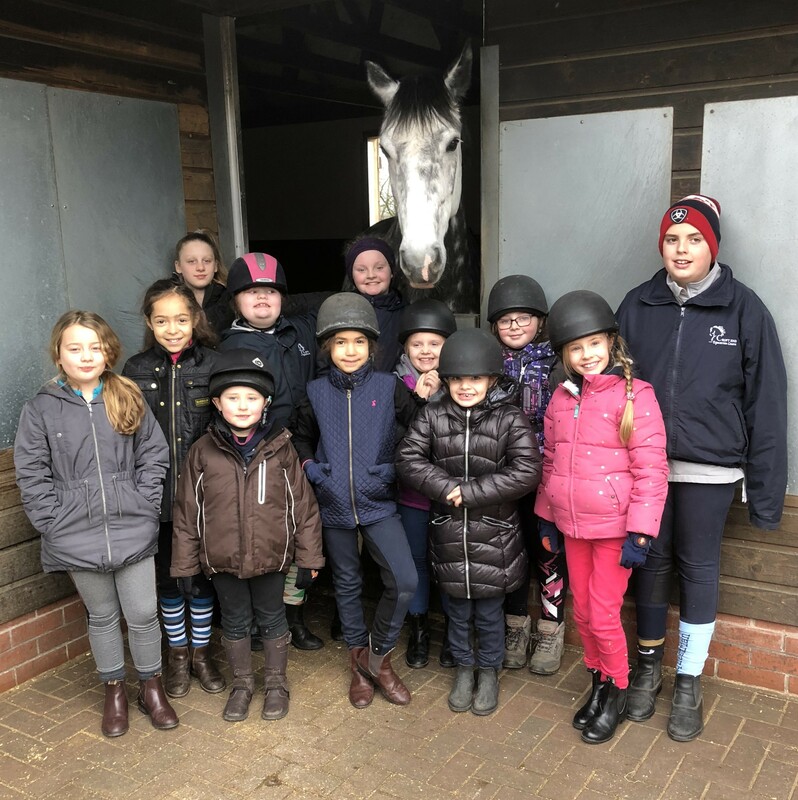 Our staff will plan a fun stable managment day so the children can gain confidence around the ponies whilst learning the correct way we look after our ponies as an approved British Horse Society Training Centre and Association of British Riding Schools Approved Centre. To book your place please contact the office 0161 624 2849 limited places available. Please note, payment in full before the day is required and once booked if cancelled full price will be charged. These lessons will be in the indoor arena a qualified instructor. These lessons are for children from 5 years, these are beginner lessons on or just off the lead. Please note lessons to be paid in full on booking. Spend a day with Sarah 9am-3pm learning different aspects of stable management and horse care. Ride and Lunch included £50 plus tea/coffe throughout the day. 10am-2pm includes ride on the ponies, a ride on the horse simulator, lunch and drinks. There will only be a maximum of 4 children on the course with Alice who will plan a fun day learning how to look after ponies. Please book early on this course and payment due a week prior to course - non refundable.